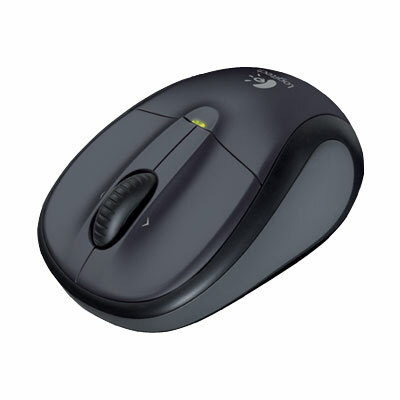 LOGITECH CORDLESS V220 OPTICAL MOUSE, FOR NOTEBOOK, USB RECEIVER, 3way Technology, Ltd.
A wireless mouse built for at-home and on-the-road comfort. Say good-bye to the touchpad. Intelligent battery management and an ergonomic design make this a wireless mouse you?ll feel comfortable using anywhere.